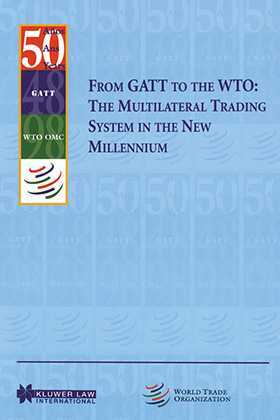 On the occasion of the 50th Anniversary of the multilateral trading system (GATT/WTO), the WTO organized a symposium to discuss and analyze the current and future role of the world trading system. The rapid developments in the last decade--not only political, but also economic and technological changes--have brought the WTO to a turning point in its existence. The new challenge, as the Director General stated in his Opening Remarks at the Symposium, is not just to advance free trade against the forces of protectionism. These and other issues are a world away from `traditional' trade concerns such as tariffs or quotas, and yet all are included, in one form or another, on the new trade agenda. In this timely and topical collection of essays, important academics in international trade take a fresh look at the future of the global trading system and give a fascinating analysis of the new trade agenda.